Hooray! 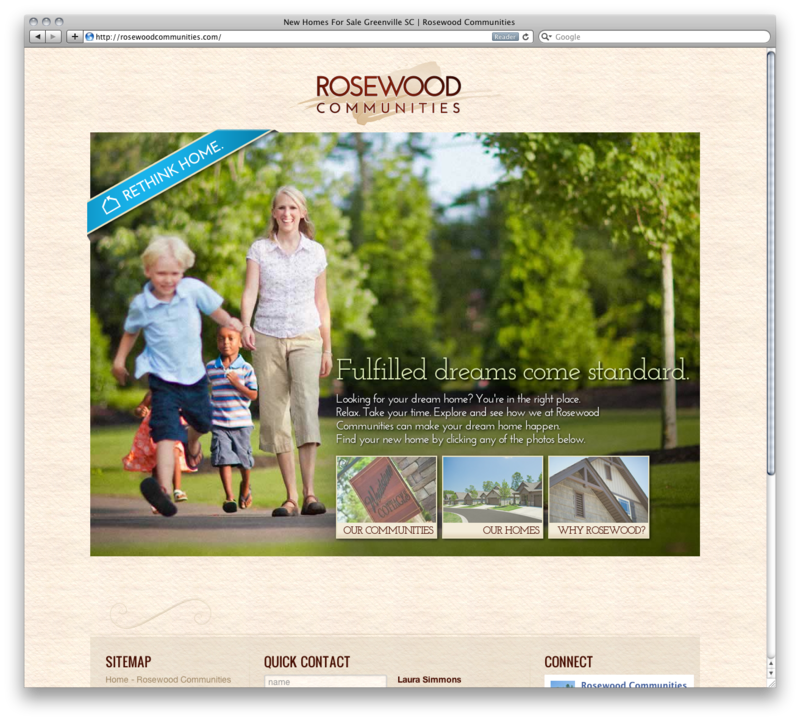 The all new rosewood communities website is here! This site has been a lot lot lot of work, but I think it’s paid off. Lost of custom touches that make it intriguing and informative. We’ve been really impressed so far at the length of time people are spending on the site and how many pages they are digging into. A really great sign! Check out their site to see why their craftsman homes are pretty special, or just to see the cottages and Timbercraft homes. And of course, let us know what you think. Improvements? Things you like? We’d love to hear. And just for kicks, if you’re so inclined, you can always become a fan: Like Rosewood | follow Rosewood on Twitter. Based in Travelers Rest, SC, J4 Studios was started and is run by Jacob Forrest. This blog is a combination of J4 Studios' work and personal interests/hobbies of J4, himself. J4 Studios is a small design and marketing firm specializing in print or digital communications. That means if you need it designed, we can do it, and do it right. Websites, printed products, email campaigns ... you name it. We'd love to hear from you about your project needs.